Here is a NewYork Times article on how some of best universities offering Free online courses. It has a ll the information what I would like to share with you. Please watch this TED video too on the same subject and how it works. 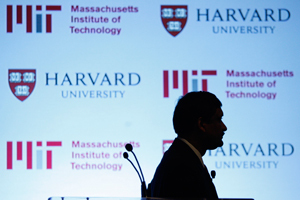 Harvard’s involvement follows M.I.T.’s announcement in December that it was starting an open online learning project, MITx. Its first course, Circuits and Electronics, began in March, enrolling about 120,000 students, some 10,000 of whom made it through the recent midterm exam. Those who complete the course will get a certificate of mastery and a grade, but no official credit. Similarly, edXcourses will offer a certificate but not credit. As the number of high school students receiving a diploma gradually decreases, it's important to learn about all of the benefits of earning a high school diploma. A high school diploma is more than just another piece of paper. It represents the knowledge and skills the student has accumulated. With this knowledge, the student is prepared for several situations. For many students, life after high school involves higher education, whether it's pursued through a college, university or specialty school. They seek a higher education because they want to achieve both personal and career goals. Most of these institutions prefer admitting students who have a high school diploma. A diploma shows them that the student has previous knowledge of several subjects. Such knowledge can serve as a foundation for the increasing amount of education. On a personal level, it shows them that the student is determined and will take advantage of the opportunity they're providing. Indeed true. A large number of students are able to do inline diploma and courses from top universities.These diplomas are now highly recognized by many organization and there are many of them who prefer the employ with good education experience. These diplomas show out the ability and experience that they have achieve, which is helpful for student for its future life.